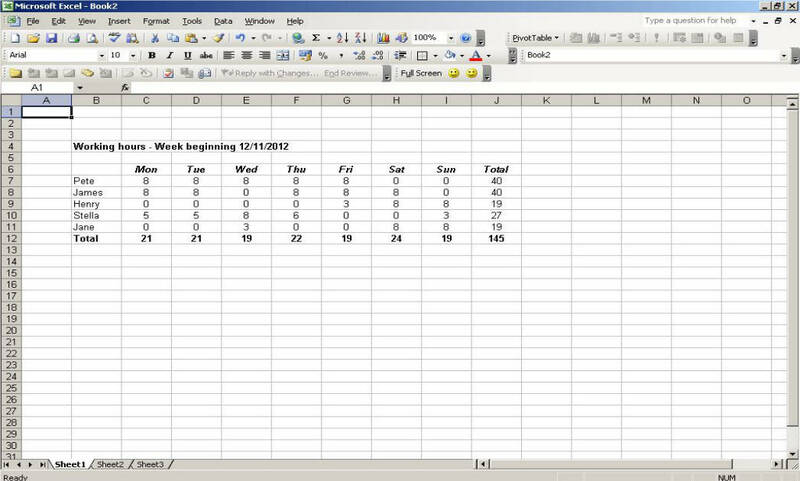 Formatting in Excel is easy, but is often overlooked. It’s really important that you use formatting to make your spreadsheets easier to use. Whether you’re going to present information to other people, you’re sharing a spreadsheet with others or even if it’s just for yourself: Formatting is important. Please don’t misunderstand, the purpose of formatting isn’t usually to make your spreadsheet pretty – It’s to make it more intuitive. For example, which of these tables is easier to understand at a glance? Not a difficult question, I think, so let’s get started. 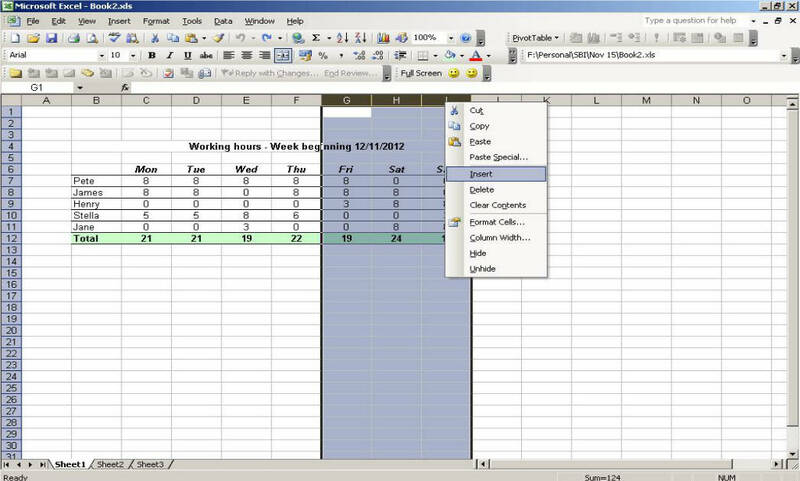 You’ll often find that you need to alter the layout of your rows and columns – Fortunately this is very easy. 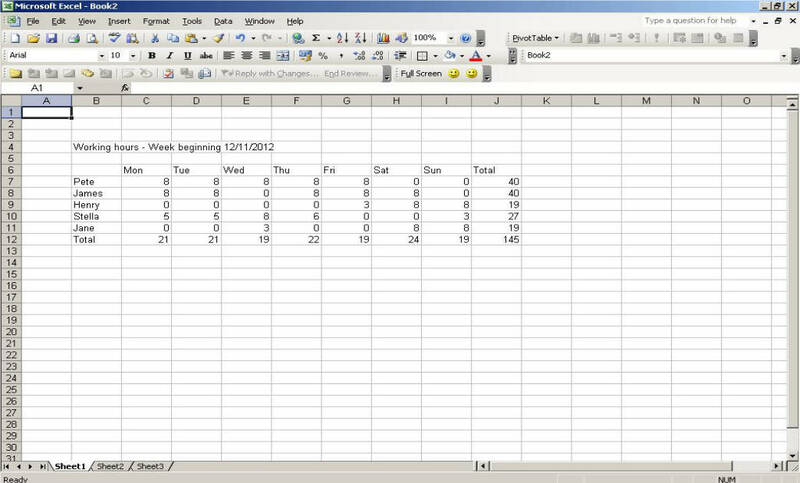 Alternatively you can have Excel automatically resize a column or row to the minimum size required to fit the contents of its cells. To do this just double click on the right-hand side of the column label or the bottom of the row label. You can apply either of these techniques to groups of columns or rows by selecting a group of them and then performing the actions listed above to just one of them. This will automatically make the same changes to the whole group. This is the simplest form of formatting in Excel – There really isn’t any need to change away from the default font for the vast majority of the time. The default font in Excel is Arial which is a sans-serif font. It’s usually best to stick with sans serif fonts for spreadsheets because they’re easy to read - Arial and Verdana are good choices. 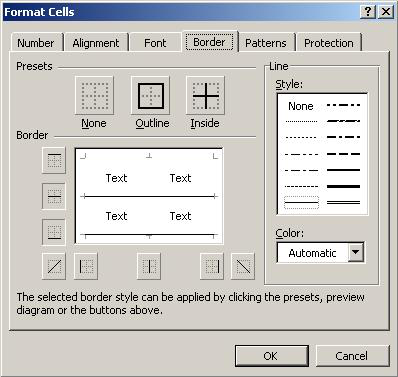 If you’re using Office 2007 or 2010 you can find the formatting toolbar in the Home section of the ribbon at the top of the screen. Bold, Italic and Underline are great ways to draw attention to text in certain cells. As a general rule you probably won’t want to use Underline very often in spreadsheets, but by all means use it if you think it’ll be helpful to your target audience. Again these features are easy to use, juts highlight the cells you want to change and use the formatting toolbar to make the contents Bold, Italic or Underlined. The last button in this toolbar is called Strikethrough – It’s very rarely used, but it can sometimes be useful, e.g. for electronic to-do lists. If you’re wondering, it makes text look like this. I’ve chosen to center the table contents as well as the column headings – That’s a personal preference. It doesn’t make a huge amount of difference when you’re working in Excel, but I’ve found that it’s easier to read tables when they’re printed out of the contents are center aligned. 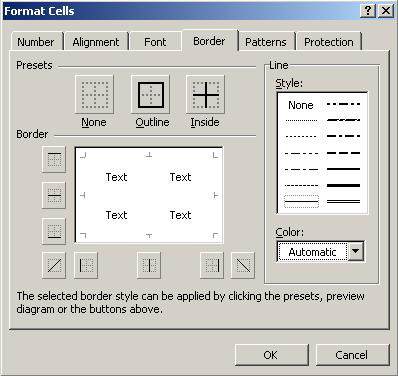 Again, all you need to do is highlight the cells you want to alter and use the formatting toolbar to align them to the right, left or center. 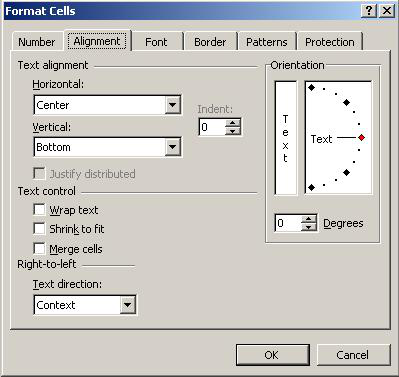 Now use the Orientation section of this menu to alter the direction of the text in your cells - The orientation of the text won’t change until you click on OK. I very rarely use this feature of Excel, but it can be a useful way to save space if you have long column headers. 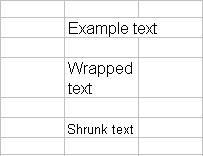 ‘Wrap text’ and ‘Shrink to fit’ are very useful feature that can be used to help keeps your spreadsheet from looking messy. If you have to include a lot of information in one cell, but you don’t want to have a really wide column you can use one of these features. Personally I find ‘Wrap text’ to be the more useful of these 2 features, but it’s worth remembering that ‘Shrink text’ exists as you may sometimes find it helpful. ‘Merge cells’ will allow you to combine a series of connected cells across rows and columns – I've used it in our example to center the title. 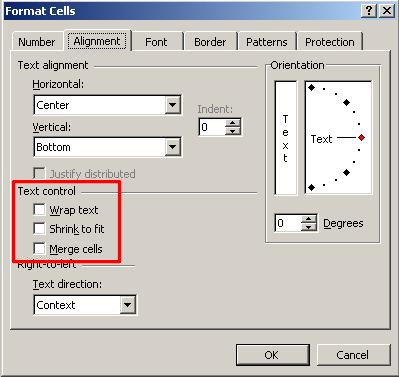 The centering is a by-product of merging the cells, but if you don’t want the contents to be centered you can always realign them as described earlier on. I’d suggest that you take a few moments to have a play with this feature and get used to it – It won’t be useful every day but it’s worth remembering for future use. I suggest that you play around with this for a few moments as you’ll see that you have dozens of options for line styles, thicknesses, colours, etc. You can also choose which parts of your selection you want to border. With experience you’ll find that you have a preference for certain border styles, which is great – Just try to keep it simple! 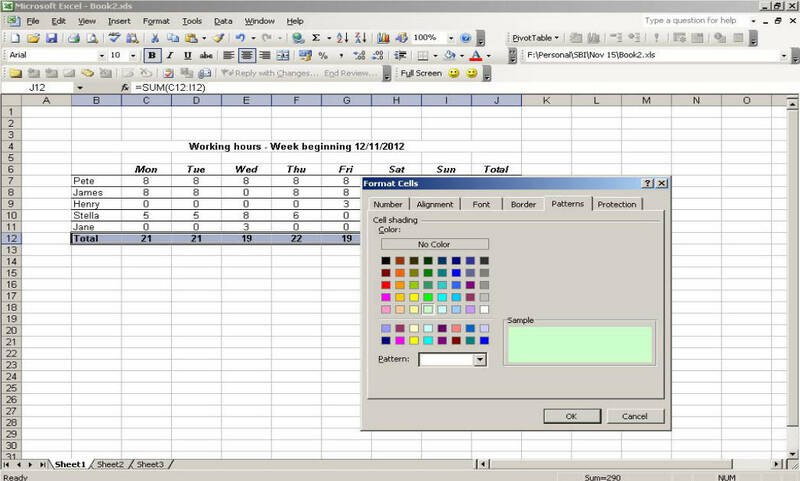 Adding background colours to some of your cells is another way to help other people to understand your spreadsheets, but again it’s important to use it lightly. Adding some gentle colour to important areas of a spreadsheet can be beneficial, just be careful not to go overboard. Much easier to understand than the unformatted data we started with, wouldn't you say? It only takes a few moments to format data in a way that makes it easier to understand. 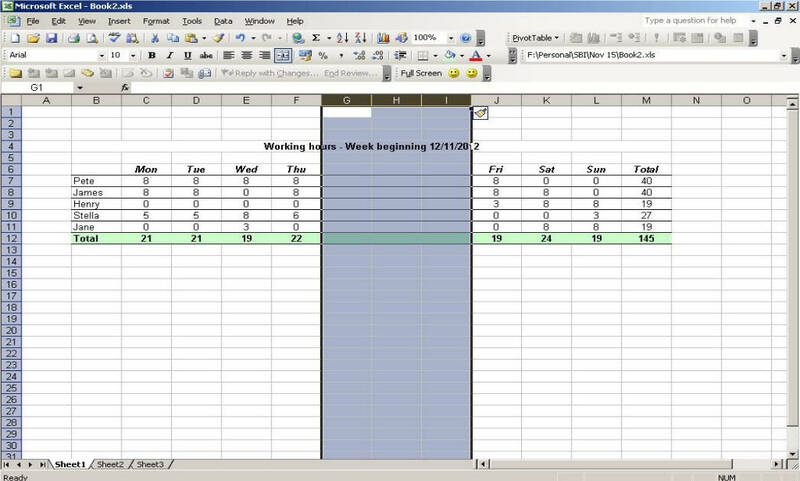 You’ll often find it necessary to insert columns and rows into spreadsheets that you’ve already created. In order to do this, you can simply right click on a column or row label and select ‘Insert’ – This will add a new column or row before the one you’ve clicked on. 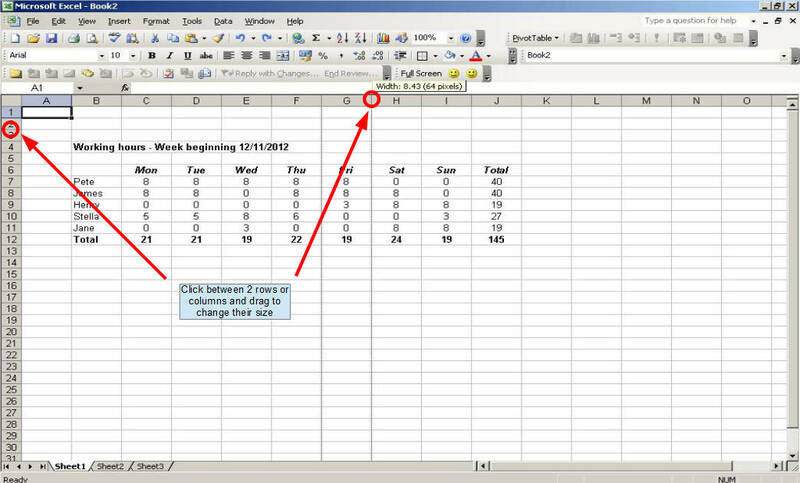 You can use this same process to add multiple rows or columns by selecting several, right clicking and selecting ‘Insert’. 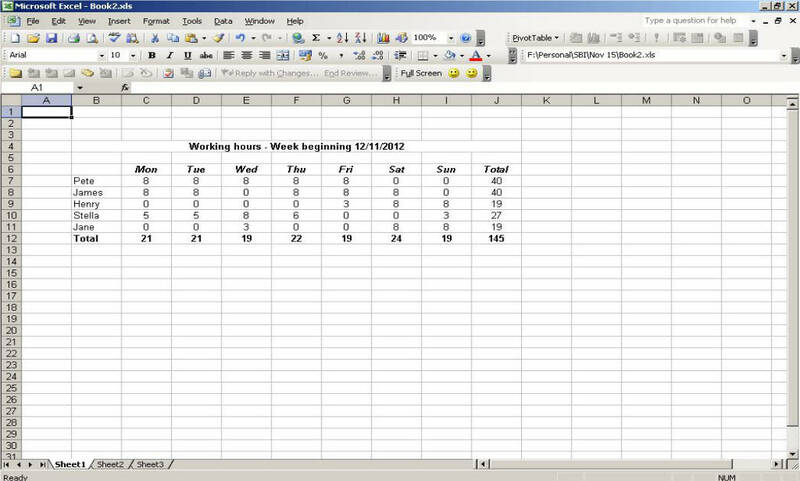 This will add as many columns or rows as you have highlighted before the first row or column in your selection. 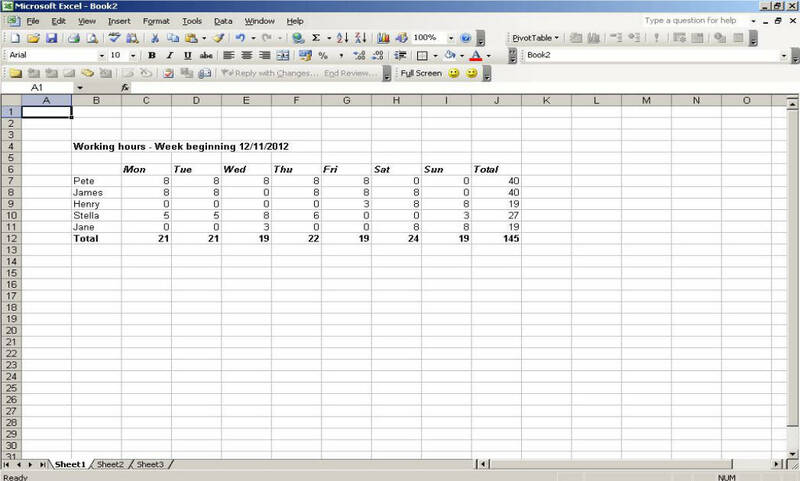 So that’s all for this Formatting in Excel Tutorial, I hope you’ve found it helpful. Please let me know your thoughts by completing the feedback form at the bottom of the page.